The London commercial property market started the year with moderate rental growth levels and a slight decrease in investment levels. As expected, the second quarter of the year has been marked by the results of the EU referendum vote, which has had a direct effect over the property market creating a rather volatile situation in most property sub-markets, but especially in those with high levels of foreign activity, such as London. Although there seems to be no agreement on the long-term effect of the uncertainty caused by the referendum results, most analysts agree that a weaker pound may attract foreign investors who want to add to their portfolio by acquiring commercial properties in London while the exchange rates are favourable. See below for a detailed report on the latest trends affecting the London commercial property market during the past 3 months. During the second quarter of 2016, monthly office take up rates were just under 1 million square feet, below the past decade’s historical average (1.1 million). May was the best month for the office market, with over 900,000 square feet of office space taken up. 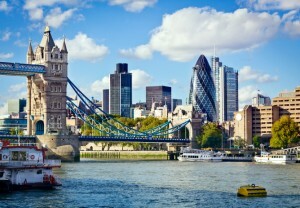 There were virtually no changes in availability rates, and according to researchers at CBRE, 12.9 million square feet are currently available in the British capital. Post-EU referendum uncertainty has affected the office market, as a number of prospective investors have put enquiries on hold, while others who already own office properties in London are debating whether they will move their operations elsewhere. Rental value growth has been directly affected by these events, as growth rates have dropped to their lowest index of the past 3 years in areas like Midtown and the West End. There is however an exception to the trend, since Fitzrovia (one of the West End’s sub-markets and the third largest in terms of square footage) has shown no signs of slowdown. Office properties in this area are the only ones in the city to have experienced ongoing rising occupation levels over a period of 5 years, and total availability has recently come to a record low of 200, 00 square feet. As a result, vacancy rates are also low (averaging 2.4 per cent for all property grades) and average asking rents have increased to £86 / square foot. Key occupiers in this sub-market include business services, media and tech, film and multimedia, and advertising. On that note, it must be mentioned that media and tech remains the largest occupier of office space across all city sub-markets, accounting for 38 per cent of all take-up operations and being followed by financial services (14 per cent), retail and leisure (12 per cent), and energy and utilities (10 per cent). Over the past quarter, there has been no variation with regards to the sub-markets that attract the highest rental values: St James’, Mayfair, Marylebone, and Knightsbridge are still the top performers, with asking rents being over £100 / square foot. The results of the EU referendum also caused a temporary slump in consumer expenditure, which has prompted occupiers and investors to remain cautious when it comes to acquiring new retail properties. The most significant post-referendum retail transaction involved the sale of Debenhams’s Oxford Street branch for £400 million, although the investor’s identity remains undisclosed. It is also worth noting that the performance of the retail warehousing market remains largely unchanged, with yields being around 5.5 per cent and above the values returned by other retail properties, such as shopping centres and high street shops. In the case of industrial properties, their performance remains mostly unchanged when compared to the first quarter of the year. This sub-market is characterised by rising rental values (achieving £9 / square foot for prime location properties) and an average capital value growth of 0.4 per cent. Demand for big box industrial properties was up by 18 per cent over last year’s values, and vacancy rates for this type of industrial space dropped to 6 per cent, although market researchers anticipate a slowdown in investor demand in the coming months. Despite the generalised slump in rental and investment activity, some of the city’s commercial property sub-markets are likely to remain performing strongly. This is the case of student accommodation, which is considered a low-risk property investment with clear potential for delivering above-average returns. Purpose-built medical properties are another sector likely to perform strongly irrespective of the current economic climate. Properties in the healthcare sector remain a solid investment option, since there are many properties currently posting yields of 7 per cent.